TST is a leading IT services provider for the Federal Government and Department of Defense (DoD), offering geocentric web and mobile-based software products that work together to create user-focused, collaborative solutions for common problems. We deliver enterprise software development, mobile development, architecture, cloud solutions, integration and other IT services for Government customers such as US Army, DHS, SOUTHCOM, DoS, USAID, US Navy, and many others. Thermopylae is a Service-Disabled Veteran-Owned Small Business (SDVOSB) and Google Enterprise Partner with years of experience delivering custom, state of the art systems to the public and private sectors. Please see our Contract Vehicles page for ways to reach Thermopylae directly; we are also available through our many teaming relationships with other contractors. The 3D UDOP was developed immediately following the 2010 earthquake in Haiti to allow users to contribute, author, and collaborate on the relief efforts. 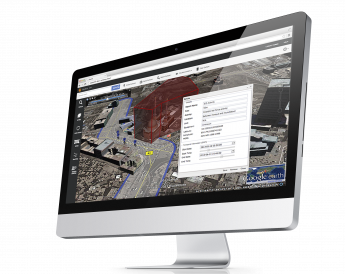 TST deployed a customized instance of iSpatial used by Government, aid organizations, and relief workers on the ground. The 3D UDOP, now a component of the SOUTHCOM WISRD system, continues to be a major tool in SOUTHCOM’s operational arsenal. BFT-ONE (aka PTL) enables DOS to maintain enterprise-wide situational awareness and emergency response for critical missions. 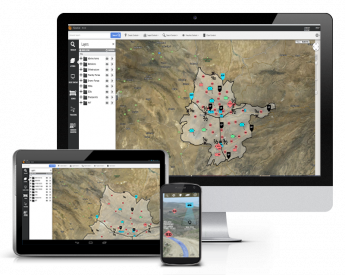 Tracking diplomats in hostile areas, this iSpatial system helps analysts explore geospatial data on a custom globe, manage real time intelligence/sensor feeds, and interact with mobile devices.